Funk and its infectious style, remains a popular part of the music we listen to today. Timeless recordings from such artists as James Brown, The Commodores, Stevie Wonder, The Meters, The Crusaders, Brecker Brothers, The Average White Band, Sly & the Family Stone, Tower of Power, Prince, The Blackbyrds, Manu Dibango, Maceo Parker, Junior Walker & the All Stars, and many more, continue to enjoy massive popularity and have had a major influence on contemporary music styles, such as Hip-Hop, Rap and R&B. 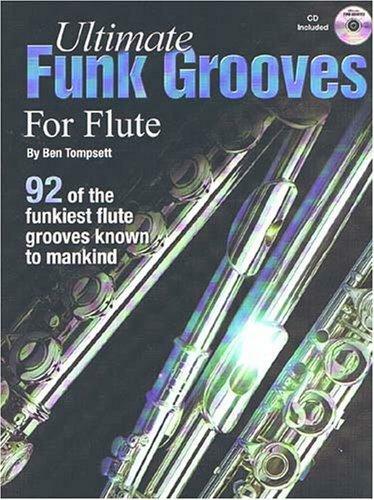 This book contains 92 riifs that showcase the different ways in which the soloist can create a distinct Funk sound to their playing. The audio CD that comes with the book contains 31 different grooves that accompany each of the riffs, influenced by the aforementioned artists, and covers a wide range of different Funk styles from the mid-sixties to the present day. 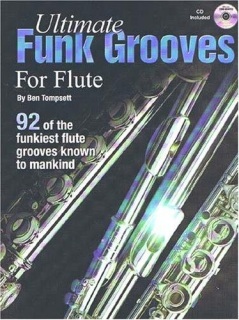 The book is intended for the musician who wants to practically develop their playing style and improvisation technique in this genre. Also available Rhythm tracks (approx. 3 min long) for each of the 31 Grooves from the Ultimate Funk Grooves series enabling you to practice the riffs or to improvise, over an extended period of time.